Welcome back to "What I'm Reading!" Before we hit the ground running, I just wanted to let you know about a slight change to this feature. As I was putting together this week's post, I realized that it was kind of unwieldy to lump the discussion of last week's book in with the introduction of this week's book. So I'm making things easier for you. On Monday, I'll introduce the book for the coming week, and on Tuesday, I'll discuss the previous week's book. See? Much better! And this way, you'll have an extra day to finish the book before you check back in for our discussion on Tuesday. 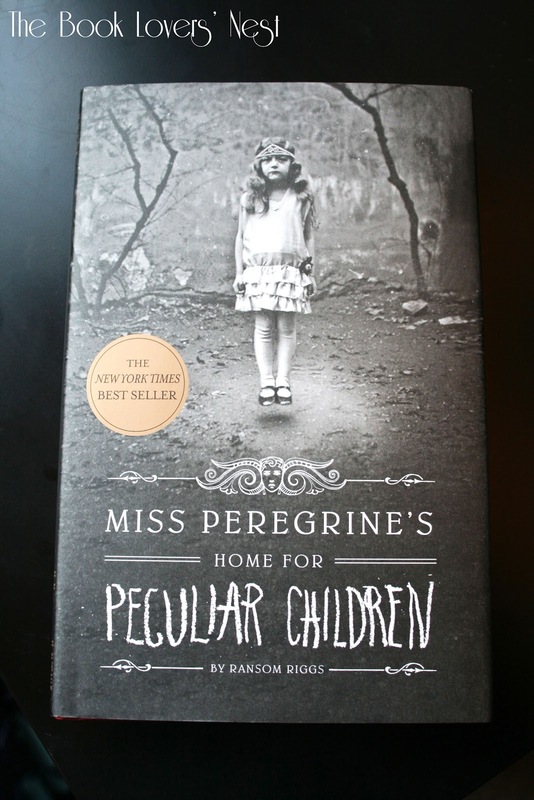 On the docket this week is Miss Peregrine's Home for Peculiar Children by Ranson Riggs. 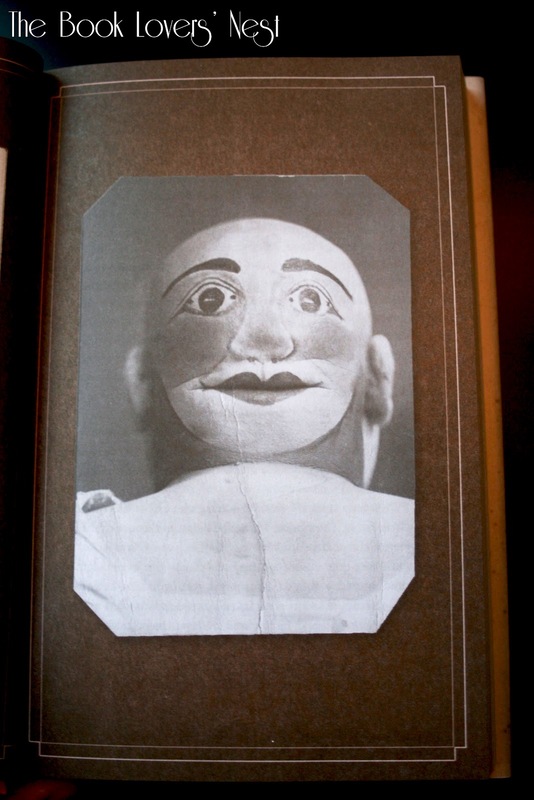 The book definitely gives me a bit of a horror movie vibe, and though I was intrigued, I kept passing it up. Then the recommendations started flowing in. 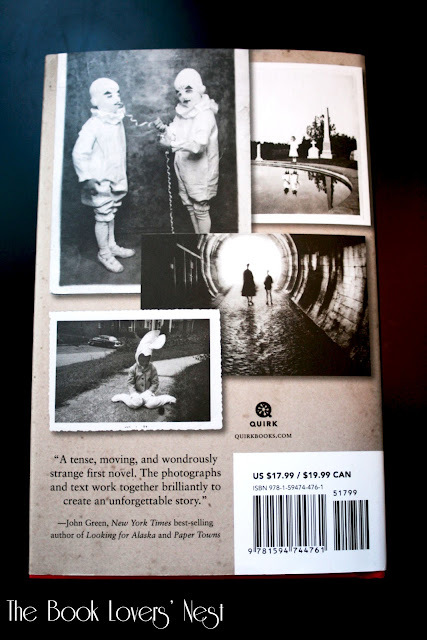 People told me that while Miss Peregrine's Home for Peculiar Children is certainly strange and a tad disturbing, it is also an incredibly fascinating and well-crafted story. 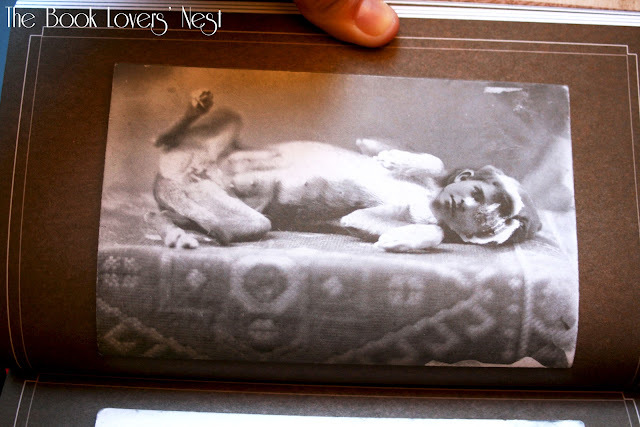 They raved about the way in which Riggs seamlessly interweaves fiction, photography, and dark aspects of history. And given that Riggs is also a blogger, people thought (and rightfully so) I'd be interested in his debut novel. Miss Peregrine's Home for Peculiar Children is also faring well with the critics. The book is currently #4 on the New York Times Best Sellers list, and it's gotten a lot of positive reviews. Author John Green calls it "A tense, moving, and wondrously strange first novel. The photographs and text work brilliantly together to create an unforgettable story," and Publisher's Weekly says, "An enjoyable, eccentric read, distinguished by well-developed characters and some very creepy monsters...dark but empowering." "A mysterious island. An abandoned orphanage. 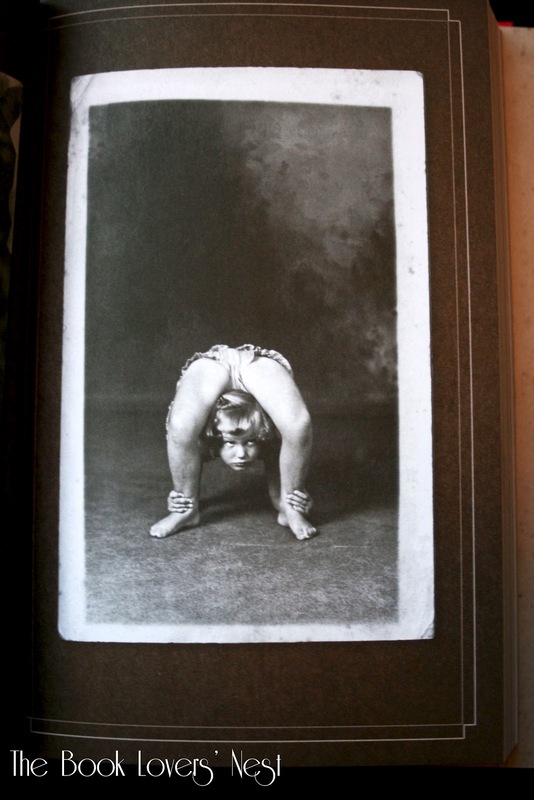 And a strange collection of curious photographs. It all waits to be discovered in Miss Peregrine's Home for Peculiar Children, an unforgettable novel that mixes fiction and photography in a thrilling reading experience. As our story opens, a horrific family tragedy sets sixteen-year-old Jacob journeying to a remote island off the coast of Wales, where he discovers the crumbling ruins of Miss Peregrine's Home for Peculiar Children. As Jacob explores its abandoned bedrooms and hallways, it becomes clear that the children who once lived here—one of whom was his own grandfather—were more than just peculiar. They may have been dangerous. They may have been quarantined on a desolate island for good reason. And somehow—impossible though it seems—they may still be alive. A spine-tingling fantasy illustrated with haunting vintage photography, Miss Peregrine's Home for Peculiar Children will delight adults, teens, and anyone who relishes an adventure in the shadows." Anyone else equally intrigued by this description? I'm totally captivated by the mystery, and I want to learn more about this strange place. I hope to see you next week for our discussion of Miss Peregrine's Home for Peculiar Children! And don't forget - we'll be talking about Ally Condie's Crossed tomorrow! I have always loved a book that can be described as "wonderfully strange." I, like you, have been equal parts intrigued and terrified by this book every time I have seen it on the shelf. It just looks so ...eerie. I have never been one for horror movies (though I do love thrillers), but books are a different story, they can achieve just the right level of suspense. I will definitely have to take a look at this book. 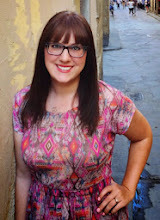 Blogger/Novelist... a potent combination. Plus, how awesome is a name like Ransom?! Haha, I hope so! Perhaps his fortune bodes well for my future? And yes, Ransom is an amazing name! I wonder if it's a pseudonym. It's almost too perfect. Writer. Book lover. (Recovering) English major. Cat mama. Seinfeld enthusiast. Wanderer. Past and future English teacher. Share book reviews and ratings with bookloversnest, and even join a book club on Goodreads. Share book reviews and ratings with Tea and Tales with Cate and Allison, and even join a book club on Goodreads. All photos, writing, and content published on this blog are my original productions and belong to me (unless otherwise noted). You are welcome to share material from this blog, but you must cite this blog as the source of that material. Sharing is cool; stealing, not so much. Please email me if you have any questions: thebookloversnestATgmailDOTcom.